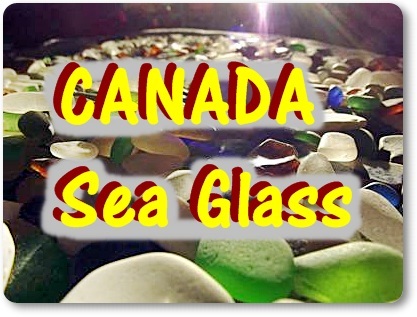 Vancouver Collection "West Coast Treasures"
I love hearing from you in the newsletter! I'm sending a collection from the local beaches around Vancouver titled "West Coast Treasures." I took this photograph when I got home on my iPhone. 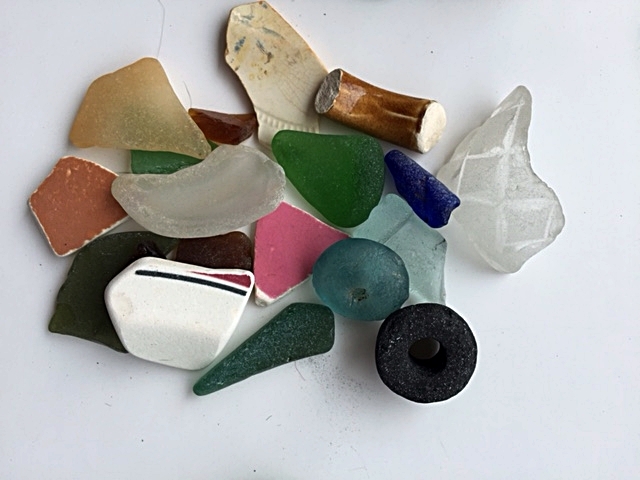 We walk this beach almost daily and usually find a hand full of beachglass. It is often white, brown or green, although we sometimes find blue(anyone who finds blue is champion of the week). It ranges in size from a shard to fingernail sized although largerwhite or green pieces are sometimes found. They are mostly irregular rectangle-ish shapes with rounded edges. This is a public beach with a working boat ramp. It can be quite busyin good weather, especially in summer. It is along the walking trail and dogs are allowed, as well as beachfires.